As loyal and dedicated humans, we always want our four-legged friends to look and feel their best. Whether that means taking them to the groomer for a spa day every so often, or decking them out in the most adorable winter coats, we want our best friends to be their happiest, most adorable selves. 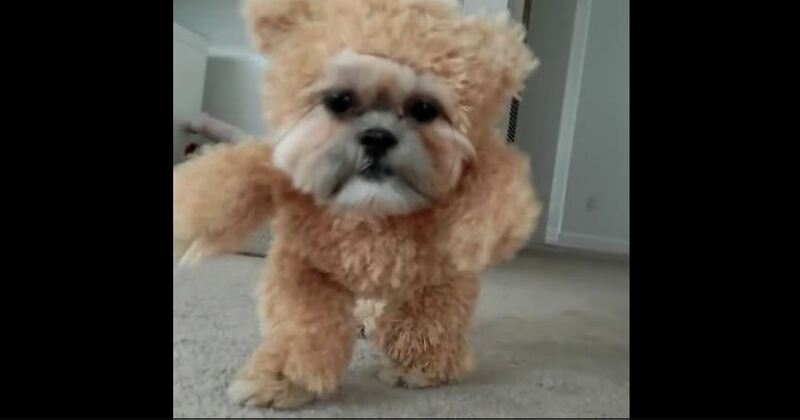 That’s why Halloween is such an awesome time for us as pet parents — if we have pets that don’t mind rocking the latest costume trends, that is. Sure, they may not love wearing that pumpkin suit every year, but they do it for us. And when it comes to grinning and bearing it during costume season, this adorable dog is a champion. Look at little Munchkin go! Oh, the things she does for her humans. But the good news is that she’ll probably win every costume contest at this year’s Halloween party, and that’s never a bad thing.